Since the Library is closed on January 1st, which happens to be a Tuesday this year, that means our Chat n Craft meeting is January 8th this year. Chat n Craft meets the first Tuesday we are open of each month. This month is a class on Quilting. We will cover the quilting basics, discuss future blocks and possible ideas that you can choose for your version of this project. It will only be doing one block a month for most of the year and should not take much fabric or time to do them. Those that already quilt might already have all the supplies that you will need. We will not actually do any of the blocks in class. That way you will not need to bring your supplies to the meeting. 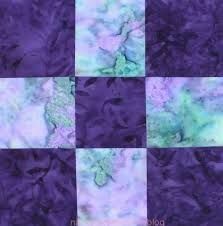 If you do not want to participate in the Quilting project, you can always BYOP to class and work on that. We will still have lots of fun and laughter. Â We have come up with some classes for the upcoming year and a project that will last almost all year too. None of these should take a long time to complete each one. Nor cost a lot of money to make. If you want to find out details of the classes, come on the month that we are having the class. We list any supplies needed to bring with you for that class on the monthly meeting post here on our website. This year we have decided to have a “most of the year” project on Quilting. January will have a bunch of handouts on Quilting basics available for those that do not have any experience quilting and we will have a class on quilting and give out the first block instructions. Each month after that we will hand out the next quilt block’s instructions besides whatever else is going on for that month.